The skate-meet organised down at Box Hill Skatepark had a pretty decent turn out. 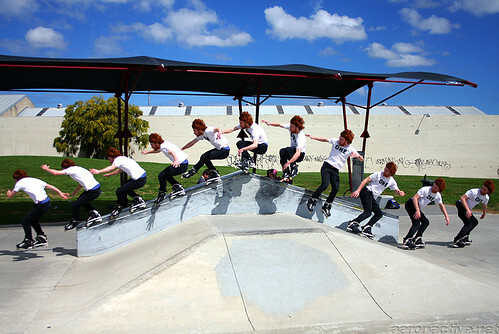 Golder was ripping out these disaster tricks on the box so I decided to put the 40Ds 6.5FPS burst to use. The angle is pretty critical here since you have a lot of frames, they tend to overlap if you aren’t careful. I got away using all the frames in this shot, which was done hand held.